Who says that you can't invest in your cosmetic accessories and make them useful? 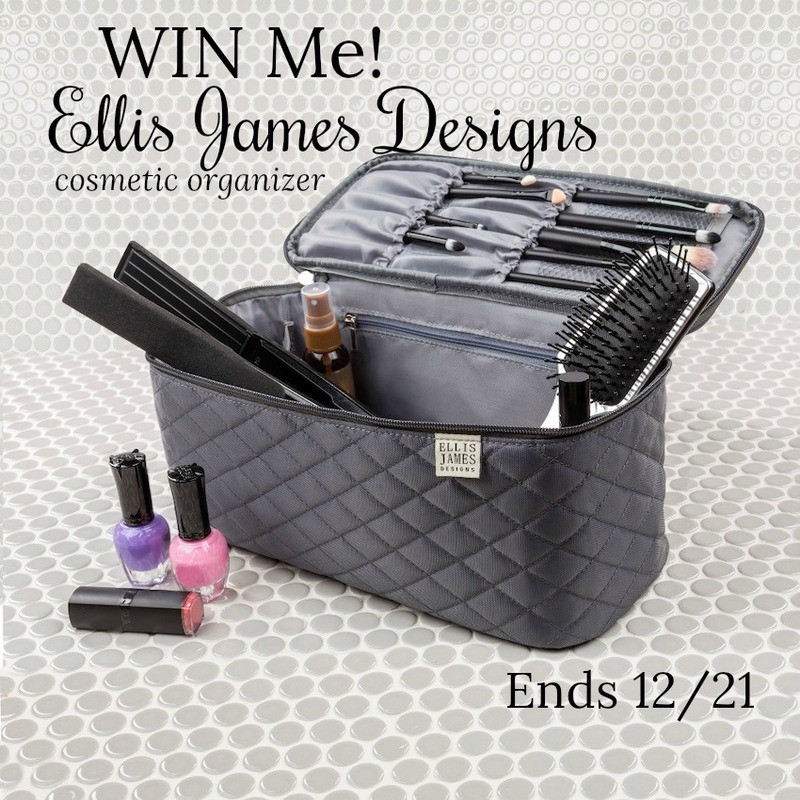 Check out what you can do with an Ellis James Designs cosmetic organizer! 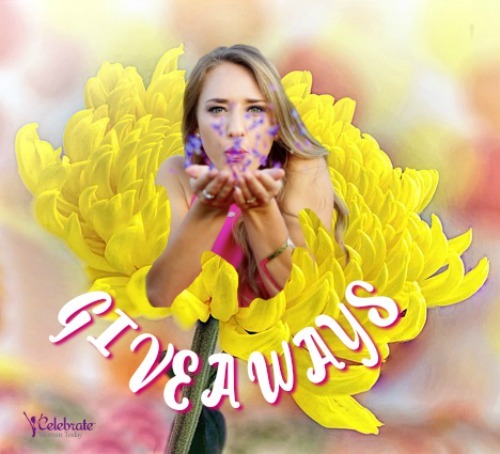 Look at some unique GIFT IDEAS for A Woman Like You in this post. I have been adding more every day. This cosmetic organizer will be a great way to store or travel with your personal accessories and cosmetics. Keep it or gift it! NB: The bag arrivies without any contents inside. You can fill it with your customized choices. No I don’t. It’s just scattered everywhere. I use inexpensive plastic bins to hold my cosmetics in my bathroom drawers currently. I actually use a small utensil organizer as a organizer on my dressing table. I use a makeup bag. I do not have a system to organize my cosmetics. My makeup bag is just one big pouch with no rhyme or reason. I could use an update. I have the ones I use the most in a clear bag. The rest are scattered in a drawer. I could use this for some organization! I do not, everything is thrown in a bag. I have a basket that I dump all my stuff in its not the best but it works for me. I have a little cosmetic bag but it doesn’t contain slots or pouches for easy organization. No, I don’t have a system. At the moment I use an old shoe box for my makeup LOL The ultimate unorganized “system” ever. I use multiple makeup bags to store mine, then I can stash them out of sight without my stuff falling out. I don’t have an organized system. This cosmetics organizer is something that I really need. Currently, I store my cosmetics in a large plastic box I bought at the dollar store but the items are mixed up and on top of each other. I pretty much just throw all my stuff into a small bag. There are no pockets or anything to it to organize in. I keep refurbishing my ways of organizing cosmetics and personal items on my dresser in the bathroom. Just a few weeks ago, I’ve undergone quite a “restoration” of my personal space there! I got rid of 1/3 of the stuff just by ditching it into a trash can. Then 1/3 is gone to donation (hair dryers, curlers. flat irons in galore). 1/3 has been left to deal with. I’ve reorganized my space under the sink using these Ellis James Designs bags and pull them out onto the counter when I need every day. On the counter, I just left 3 baskets of the stuff that belongs on it. I organize my lip and eye products in different containers helps but an update is needed. I agree. I’d like to have an organizer. My teen daughter needs something like this. She is so disorganized when it comes to her cosmetics! This is perfect for her, the right size, organizes brushes etc… so also would be perfect for travel as well. Wow this is incredible! The perfect way to stay organized without the hassle! I have baskets on the linen closet shelves. Eye makeup in one, lip stuff in another, hair products, dental care, etc. It’s half organized/half a mess. I don’t have any way to organize. I really need this. I’ve been trying to get a system in order. I bought an organizer tray and going from there. I wish I could use either a few more or stacking on maybe. This bag looks amazing for on the go on even must haves staying in one place at home. I have a caboodle for organizing. Right now i have a bin with everything thrown in it. This is a great bag. I think any woman would love to own one! No I don’t, but I do need to change that. My makeup is not organized in any way! This would help alot! this is a nice one, could use one just like it. I store mine in one of those mini 4 drawer plastic bins. I wish I had a system it’s all kinda thrown in a drawer. I try to keep it all organized, but I must admit, I don’t do a great job of it! I try to. I keep all my make up in my makeup table. I have separate cups for eyeliners, brushes, and misc things on top of my table. I don’t have an organized system. The stuff I use daily is in one bag, with everything else in another bag stashed under the bathroom sink. I need to rethink it! I’m really not organized with my cosmetics. They are all randomly put in a drawer in the bathroom, and in a plastic bag when traveling. This would be a great improvement. My system is usually just organize my foundation/ my brushes/ eye shadow. I’ll sometimes use ziplock bags to prevent stuff from leaking out. I actually don’t have a system to organize my cosmetics. I just throw everything into a drawer in my bathroom. I really like this organizer, mine is just a bag that closes but no place to seperate the make up. No, and I need one. I do not have any kind of organizing system for my makeup at all. I throw it all in just one makeup bag that doesn’t have any separate compartments. This bag looks pretty handy to have!! My method of organizing my cosmetics is a mish mash of containers I have found through the years. Nope. I don’t have a system. No. I really don’t have much of a system right now. My wife doesn’t have anything to organize her makeup. She uses shoebox and throw them in. I just have a bunch of different boxes that hold a bunch of different makeup. It is not at all organized. No, all of my basic make up goes in my little black bag. No I do not have a system, but I need one! I have no system just everything thrown together in an unorganized mess. I don’t really have them in any kind of order. No, not really organized as its all tossed in a basket both things I use daily along with other items I only use occasionally. No system – all my cosmetics are floating around in a drawer in my bathroom! Love this bag though. I don’t have any kind of system at all. I try to have organization. I have my cosmetics somewhat organized in 2 drawer containers in my bathroom drawer. For travel I have a cosmetic bag that has compartments. This cosmetic bag would be so nice though! Imagine how organized we could be with it? I have a makeup case but it doesn’t hold everything. I need a better system. >> Do you have a system to organize your cosmetics? Share what you do, please. I have several small cosmetics bags (the kind that you get for “free” when you make a purchase on a certain brand, generally in a dept. store), and a few clear acrylic makeup organizers. Everything is all over the place! A gorgeous and practical item like the one featured here would be so helpful for me! I tend to throw everything in a drawer and I am very unorganized. I have all my makeup in the top drawer of my bathroom vanity. I have no system at all, it is a junk drawer in my bathroom and it’s a nightmare! I don’t have organization. My cosmetics are in a bag. That’s it! yes i do have a place for every thing but well in 6 diffent box’s but well i’m looking for some thing other that i can keep it all in i’m about ready to turn my dresser in to a makeup dresser thats just how much i have. I just keep everything thrown in a drawer in my bathroom. I don’t have a system it’s all cluttered together and messy. That is why I think these organizers will give us a bit more space and room on the counter!!! I have a haphazard system that needs an overhaul. I just have my makeup in a makeup bag and it is not organized at all. I need a bag like this to organize it. I really need to work out a better way to organize my cosmetics. I have been wondering myself about the best way to keep all my cosmetics in place and available to me at any moment. I like all these items to be easily reached, without going through a ton of digging! What I’ve done at this time is placed all bottles and items that I use 1-2 a week into these organizer bags under the sink. Then what I use daily and twice a day, I placed in small baskets on my counter. I have been looking for the items online that will work for me. By “working for me” I mean that these containers/organizers have to be able to hold a TON of my personal stuff. I will make a post of all the findings and thoughts I was going through myself while doing this research. Really benefited me. I got rid of a lot of stuff and made my bathroom organized and neat. Again! I do not have a way to store my cosmetics. Currently on my Bathroom Counter! I try to have a systems but so far it’s not working. I just have a smal rolling chest with drawers but it doesn’t seem to give enough Organization. This would be a lot of help! I have a little makeup bag, but I need another one! I just wear leggings for physical activity.